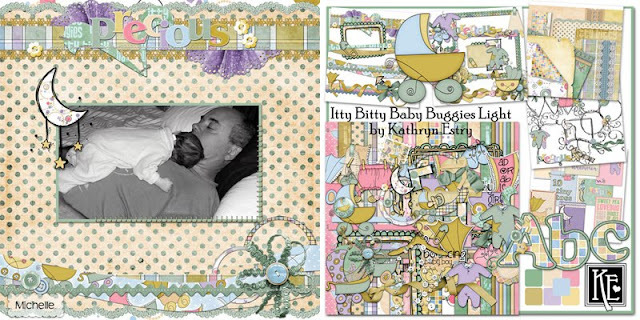 MyMemories Blog: Scrappin' from A to Z with Kathryn Estry! 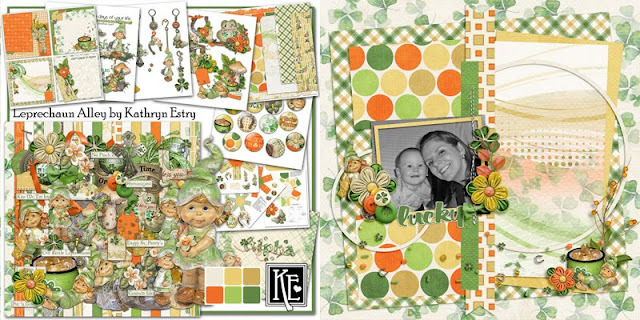 Scrappin' from A to Z with Kathryn Estry! One of the things you'll find in my store is Lace Papers. Sometimes they're called Fancy Papers because they have other styles besides lace, but either way, I think you'll enjoy using them on your pages. 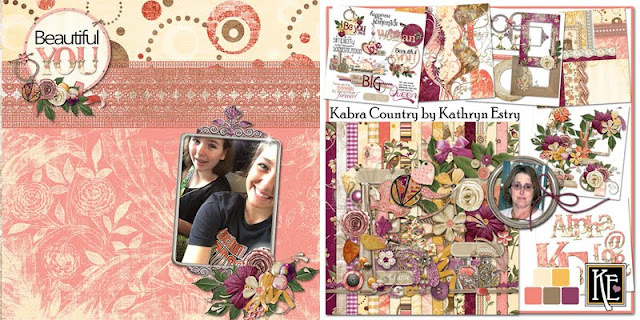 They add a little elegance and dimension while making your layouts really pretty. 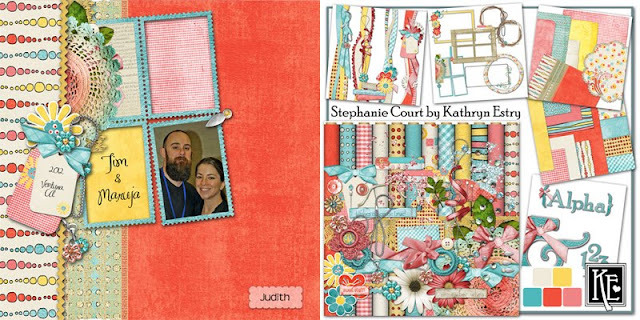 In these pages you'll see lace papers used in a variety of ways. Thanks to Anita, Judith, Kathy, Lori, Michelle, and Robin for working their magic with my designs. 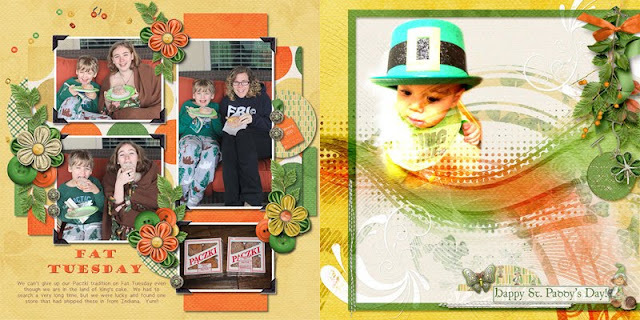 I think this kit's adorable, so for my favorite L collection, I chose Leprechaun Alley. 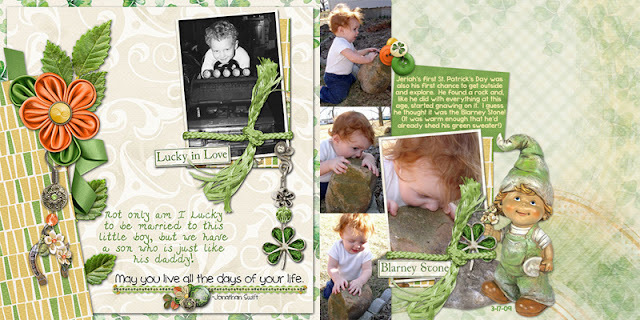 Thanks to Lori, Anita, Liz, Monica, Rhonda, Robin, and Yvonne for these layouts. This is a good reminder. I love lace in life but rarely use it on my scrap pages. Gotta change that.